Below is the in-depth review of Norton Antivirus for Desktop users and for Mobiles users. Overall, Norton protects from malware at every stage. Latest Norton Antivirus 2014 is very efficient than ever before to protect from real world malware attacks. Interface is also good until you select advance view. All in All it’s worth buying for PC and Desktops. 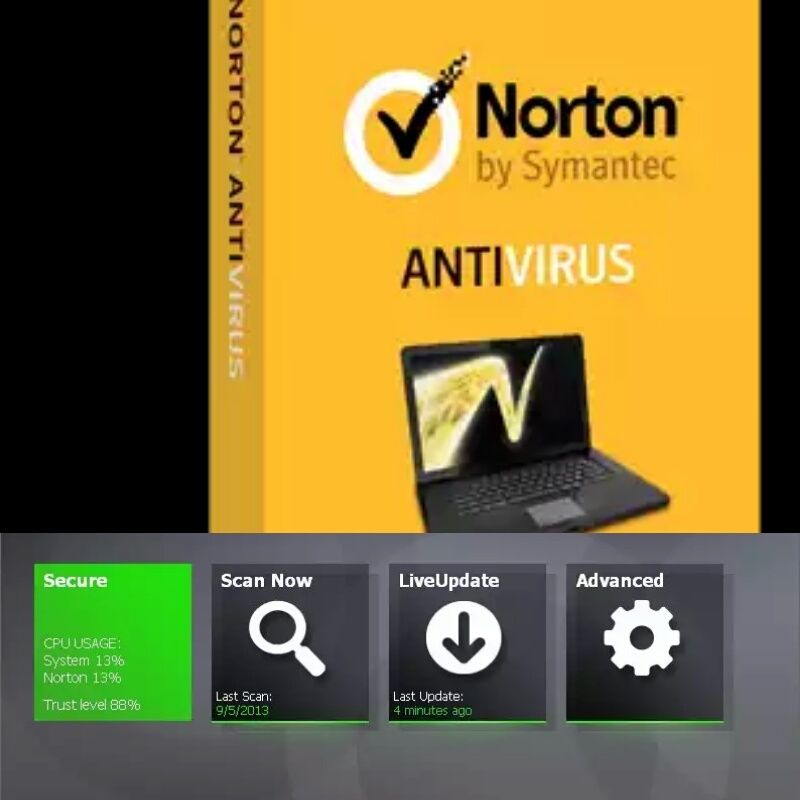 Symantec’s Norton Antivirus protects you from viruses, worms, bots and spyware. It is very easy to install and use plus you get free customer support every any hour. Should I trust on this product? How well does it protect? Has it been tested? And many similar questions arise after reviewing the list of features in antivirus software. As far as performance is concerned, you can put all your money on Norton Antivirus. It has achieved Advance Award from AV comparatives. AV Tests are conducted by AV laboratories which is located in Germany. It is an independent laboratory that tests antivirus software and researches for the best product to detect malware. Norton antivirus along with protecting your PC against spyware and viruses also scans messages and email to check for infected and malicious attachments. You get protection from Social networking sites also. Norton Antivirus also scans you Facebook newsfeed in search of dangerous links and unsafe sites. Norton will warn you if you are about to download some dangerous application. SONAR (Symantec Online Network for Advanced Response) is Symantec technology that analyzes file behavior. This system basically examines any particular process is doing on your desktop and studies its communication to and from your computer to detect any pattern that fits the malware profile. Norton antivirus software is quick and easy to install and doesn’t consume much space on hard disk. You will get 24/7 online customer service through live chat, telephone and email plus you get to know about online security through various articles y Symantec. Norton will keep your android device malware free but limited features for LITE version and other usability features will make you think twice before buy it. Norton scores full marks in Malware detection but its other security features and anti theft are not up to the mark. Norton achieved a perfect score from AV Tests for its recent build 3.8 for Android 4.3. Apart from Norton, only McAfee and Kaspersky managed to achieve a perfect score. However, Norton Mobile security doesn’t scan “.com” files and thus when tested Norton did not detect well known EICAR virus. Norton may slow down your phone on malware detection scanning. On being accessed for first time, Norton generates a four digit password for locking and unlocking your phone and tablet. You can remotely lock the device, sound an alarm, and wipe off personal data and other standard anti theft features from its Norton’s web portal. 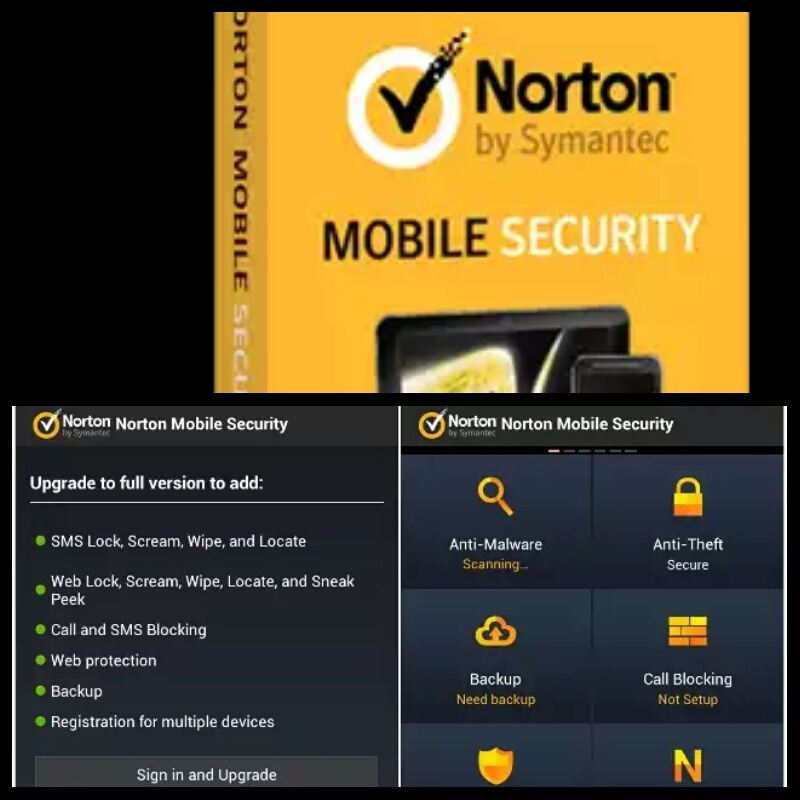 One of the best features we found in Norton’s mobile security is Sneak Peek. This feature lets you remotely take a photo from your device’s front facing camera. This photo then appears at Norton’s web portal. However, Web portal can store up to 10 photos only. Other features include “Block list” for blocking numbers you don’t want to hear from. For one year of Norton Mobile Security premium version you will have to pay $29.99 and $49.99 for two year premium subscription. The lite version is free to download from Google play store. However, lite version is limited to antivirus functionality and remotely locking the device. Anti theft, call blocking and Web protection are included in premium version only. Hope the above reviews will help my readers to decide the best Antivirus as per their need. I request my readers to share their opinion because only after checking them I can make this review more realistic. I am also using norton anti virus but my computer becomes slow now a days. shall i know what is the exact issue. I uninstalled my anti virus then its working fine. pls suggest me. Well, its a fact that every computer works slower with installed antivirus software and it is not the fault of Norton. This issue is common with every such software. I would suggest you to check your PC configuration also.